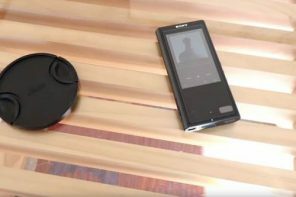 Disclaimer: the Jerry Harvey Roxanne earphone reviewed in this review is part of a Tokyo Headfi tour. And it’s cool. 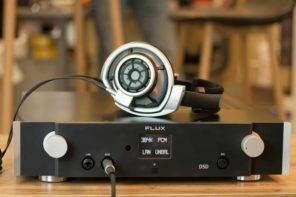 Thanks to Fujiya Avic’s awesome (and sweaty) spring and fall headphone shows, on more than one occasion, I’ve had the opportunity to shake hands with one of the coolest names in the industry. 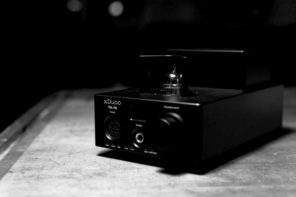 Last year, I photographed and botched the translation of an interview with Mr. Harvey conducted by the pioneering Japanese audiophile, Sasaki. Jerry’s cool, calm demeanour impressed me as much as the snarling tattoos that crawled up and down his arms. The be-inked man isn’t just a bigwig earphone pioneer. Where it comes down to the perfecting of sound through endless, marketable tweaking, he’s a perfectionist, and an inventor. His character is carbon copied into each of his earphones. And Roxanne is the perfect facsimile of all that is Jerry. Roxanne comes in two flavours: the custom one rings in around 1500$; and universal one rings in around 1300$ USD. 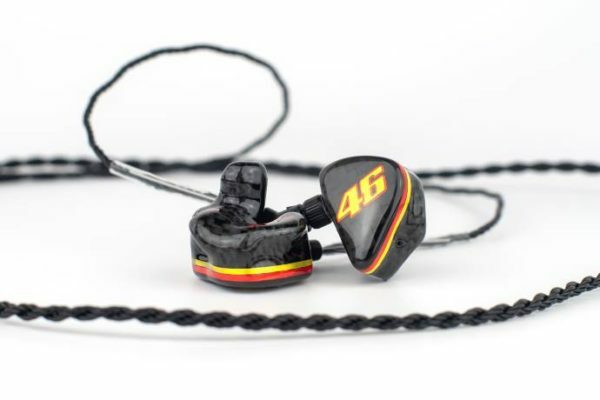 Both models sport 12 drivers, four for bass, four for mids, and four for highs. Bass is adjustable from 0 to +15dB. 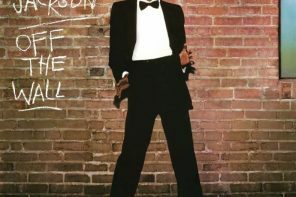 This review covers the universal version, which was loaned me by Headfi’s Currawong. Sadly, it is no longer in the building. Roxanne’s cable is a veritable rope. I am reasonably confident that if properly knotted to a good balcony rail, I could use it to pass my wife to the bushes below. Both the y-split and plug sheaths are thick, supple, and wear extremely well. 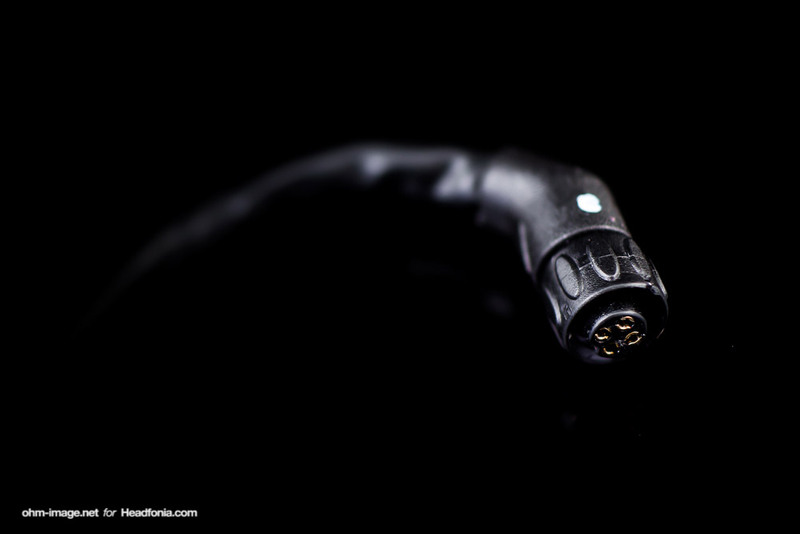 This cable is less susceptible to fraying than some of JHA’s previous cables and cable-derived microphonic noise is minimal. That said, the metal-lined ear guides can kick up quite a ruckus. Honestly, for the glasses wearer, those guides are merciless. Jerry Harvey Audio have packed in a small screw driver for your caprice. You’ll need to adjust Roxanne’s bass unless you rock Harajuku nails. The good side is that it’s pretty tough to accidentally change bass settings. The L-shaped plug is supple, strong, and easy to use in combination with smartphone cases if that’s your thing. 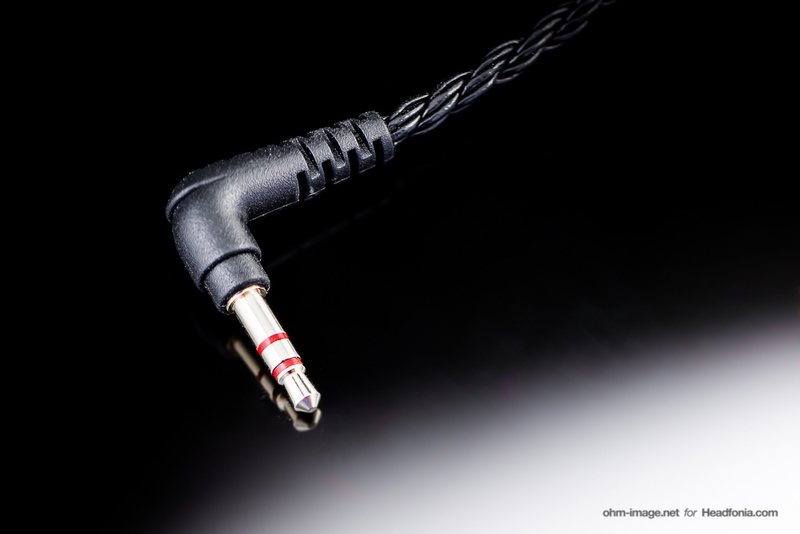 A new four-pole female screw drive mates the cable to the earphone’s male bits. 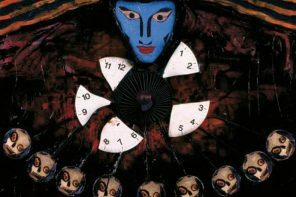 While a bit unwieldy, it is probably the surest connection currently out there. 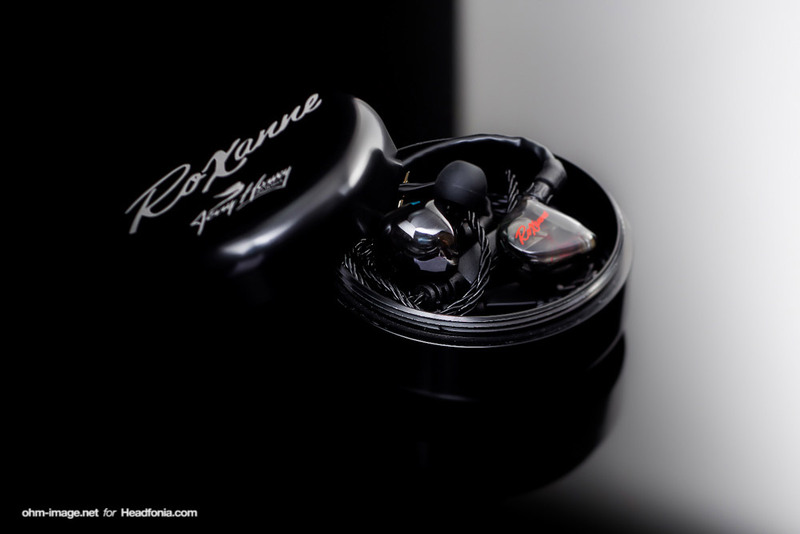 The universal Roxanne looks and feels decidedly like a custom earphone. It uses the same UV-cured acrylic shells, the same sound tubes, the same internal wiring. 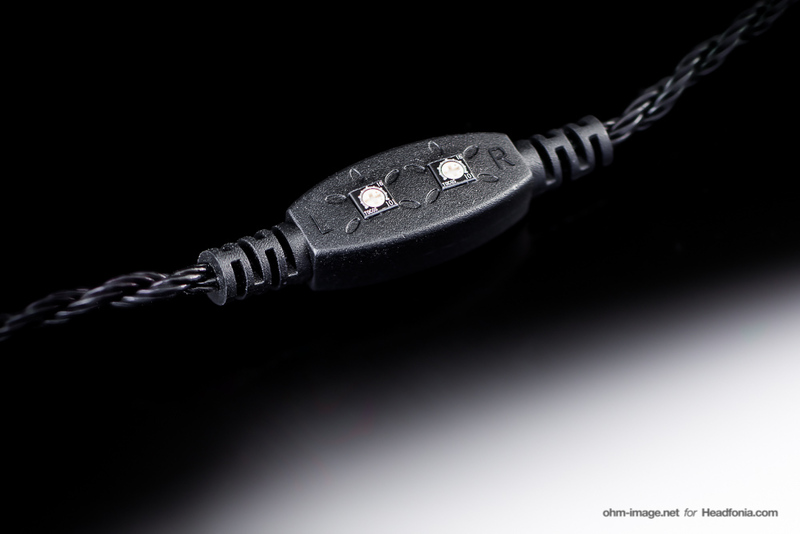 New to JHA and the earphone world is the 4-pole connector and screw drive lock mechanism. 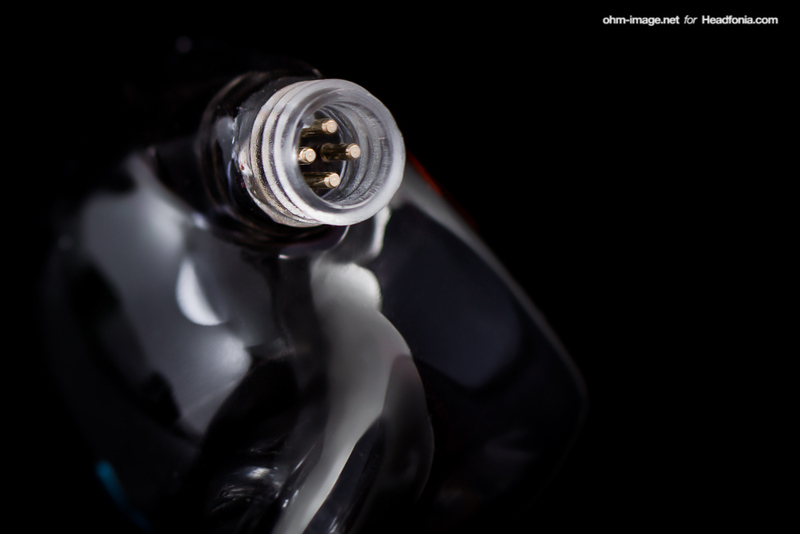 While sturdy, because the cable locks directly to the earphone’s acrylic shell, the earphones shells may be less resilient to overt pressure than earphones with weaker connection systems. I don’t foresee problems stemming from normal usage, but it behoves you to treat Roxanne like a lady. Shell machining is very good. There are few to no air bubbles, and the drivers are free of fingerprints and oil blotches. Internal wiring is a bit rockstar-ish, but until custom earphone manufacturers universally hire elves to do their dirty work, that won’t change. Roxanne is a sensitive earphone. I’m a sensitive-eared lad. Roxanne easily renders hiss from noisy sources. 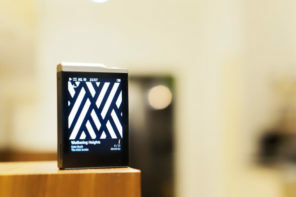 In fact, it renders noise from some typically low-noise sources like the 6G iPod nano. Thank the Lords of Kobol that the volume of hiss is less than what passes through a Sleek Audio CT7. 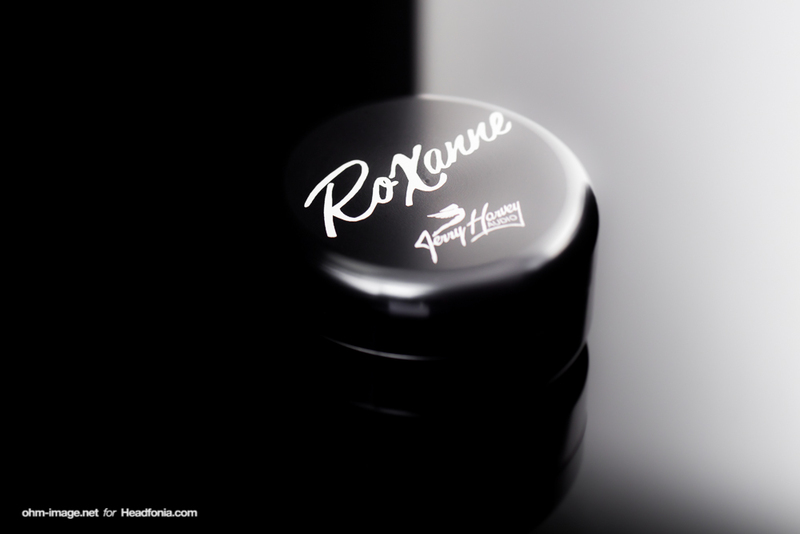 Roxanne’s sensitivity means that it doesn’t need much voltage in order to hit high volumes. Pretty much any old player or amp will do. Driving that volume to perfect resolution, however, is another story. But first, let’s talk about how Roxanne sounds. She is a smooth, beautiful singer, whose main vocal thrust is the midrange. There, her lungs spit effortless detail and space. The forward and aft edges of stringed instruments are crisp and resonant. Ditto percussion, especially tom-tom drums and snares. Mids project with firm authority. Roxanne’s finest foot steps forward when rendering the clear voices of metallic chimes, or the touch of a brush on the edge of a drum, or the soft slap of a hand on a guitar. The most jaw-dropping part thing is that while Roxanne piles detail everywhere possible, there’s not an abrasive note anywhere to be found. Frequency transitions are utterly smooth. Clean attack is followed by a musical, but speedy decay. Headroom in all frequencies is off the charts. Whether handing off upper bass lines to the lower mid quarter, or delineating the thumb from the string it plucks, Roxanne’s delivers absolutely clear transitions. Yet she does so with tender love. Super low frequencies aren’t over amped. They are big, with duff where necessary, and crescendo cleanly when not. Bass detail is second only to midrange detail. Get ready for thrum and strum and a bit of slam. Just this side of tizzy cymbals, Roxanne rolls gently off- but not to the extent that she sounds dull or veiled. Taking the place of tizz is clean, detailed high-frequency reverb. Despite the gentle roll off, high frequency details are articulate. Roxanne flushes forward the floor plan of the recording room. But because there is no added edge, poorly constructed recording studios and the records they put out don’t necessarily sound worse than they did before. They do, however, sound sloppy. Their overly wet high-frequency reverb wells rise up with slip and slap. Again, the effect is inflexion, not infliction. Roxanne doesn’t throw the details back in your face. But let’s get back to the mids. 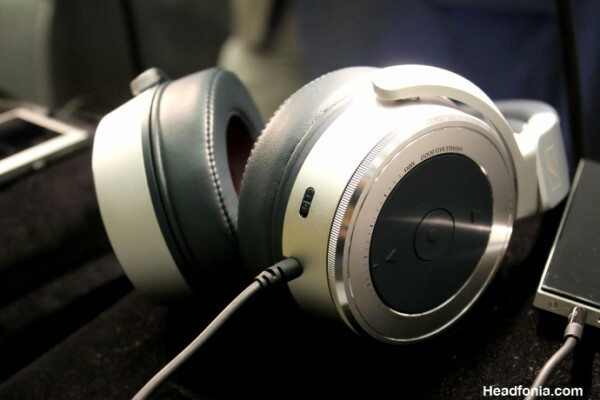 Even the benchmark-setting JH13Pro isn’t quite able to serve the same dynamics and detail, and midrange space. While it isn’t an endless chasm of space that Roxanne sets up around your skull, it is a precisely set space. Bass notes fall to the jowls and behind the os occipital bone. Mids project from the centre of your grey matter, through your eye holes, and around, to the temples. Highs shimmer around the sides, filling in at their discretion. Vertical ascent and descent of each frequency is limited to a space about the size of a beach ball around your pate. The precision of the spread is tip top. The breadth of the spread is wide, but not quite Dita The Answer wide. Several times whilst demoing the Roxanne, I forgot to breathe. True story. But if you’ve had enough of all that, Roxanne gives you the option of amping up her bass (and the above observations are rendered in different levels of moot). I feel most comfortable with the dial set to around 50% or less, where bass details and transitions remain superb. There is the merest hint of bloom around 150Hz. Bass-head audiophiles should be happy with the dial set to 70% or below, and bass-is-allers probably can’t tell the difference anyway. Go ahead, set it to 100%. Someone has to. 100% absolutely masks Roxanne’s trademark low to mid frequency transitions. It shifts focus away from the lovely, spacious highs. 150Hz goes wonky. Not that that isn’t useful at times. I’ll admit to digging the duff that only 100% gives when listening Dr. Dre’s The Watcher. (Can you blame me?) But when I return to John Denver, The Smiths, Armin Van Buuren, Depeche Mode, U2, New Order, Joy Division, Sandy Patti, The Doobie Brothers, Testament, Shirley Temple, and of course, The Police, I return also to my favourite 50% setting. As long as you skirt 100%, Roxanne delivers the best inflexion this side of Halifax. If only Dita Audio were in charge of Roxanne’s over-the-ear ergonomics. 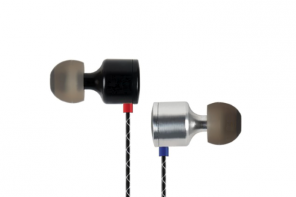 While the cable is strong, is relatively resistant to touch noise, and is comfortable, the ear-guide is a bloody pain. Literally. If you wear specs, it will pinch below one glasses arm or another. If you have long eyelashes and wear glasses (poor sod) prepare yourself for Roxanne wrenching your glasses this way and that until your lashes smudge up your Pierre Cardins. Through all that eyelash grease, you will swear you’re wearing blinders. If you don’t wear glasses, the above simply doesn’t apply. But, the universal version of Roxanne is massive; it can’t comfortably be fit into small ears. My conchas are medium-sized bowls. But I can’t properly get Roxanne in. And long as they are, the sound tubes may not reach your canals without a bit of yoga. My wife can’t get Roxanne anywhere near her ear holes without pain. I strongly recommend testing the universal version of Roxanne before purchasing, no matter how ‘you’ this review or that review describes. That, or pony up for the custom version. As explained earlier, getting volume from Roxanne isn’t a problem. Roxanne requires setting your amp or player to roughly Dita The Answer levels in order to really sing. 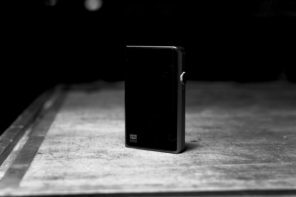 But where Dita serves up its best straight from your portable player, Roxanne is more demanding. Your player must be able to drop damn near 0 Ω to allow Roxanne to give ‘er. Even so, it probably won’t be able to support a super-stable dynamic range or stereo image. My fullest recommendation is behind a couple of amps, or something like an iBasso DX50. The first is the Cypher Labs DUET. The second is the Vorzüge PURE II. 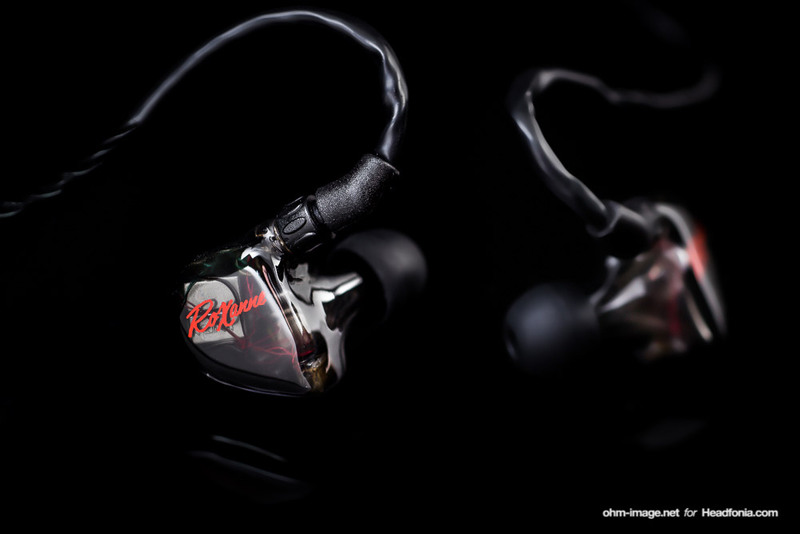 Roxanne is one of the best-sounding IEMs out there. It may well be the smoothest, most midrange-resolving earphone on the planet right now. Yes, it trades grating edges for space, and it smooths over some of the chaos of live performances. But what it gives up in chaos it returns in transitional detail, sharp 3D spaces, and microscopic midrange detail. And none of its goods ever trip up the bass or treble. But if you’ve had enough of all of that charm and appeal, you can still turn up the bass dial for boom and punch. 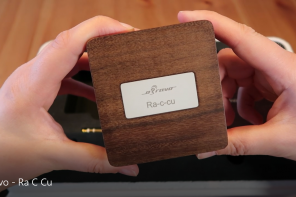 There are few earphones that are as capable of wowing on so many levels as Roxanne. Sadly, Roxanne wow’s glasses wearers with poorer than usual ergonomics. But to the earphone faithful, that’s nothing new. From team Headfonia, it’s ohmage to Roxanne till the red lights go out. 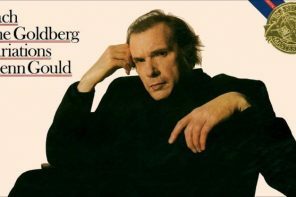 I think Sting was wrong. Hmmm… so are you saying I stop my soap land business? Super pictures again Nathan. well done! I hope it ain’t wax. These were taken before I ever put them in my ears. If it’s wax, it’s from Hokkaido. Thanks mate. Macro photography always reveals things your eye cannot see. It looks like they may be cracks. One advantage of the universals is that you can use various types of tips to modify the sound and distance from your ear canal (by a few millimeters) to get the perfect sound that you’re in the mood for at that time. Sometimes I want them deep inside, like a custom, and sometimes I want the extra imaging that comes from moving them back a bit and turning up the volume to compensate. When people see these monsters protruding from my ears I get tons of questions about what they are, followed by questions about where to buy one. Hello roxanneuniversal: I think the misconception pretty much stands. I tried and it is VERY difficult to get any but large-bore tips onto the Roxanne universals. You wen though a lot of work. It can be done, though. Actually it takes like 5 seconds. You need to apply some force, while at the same time being careful, but it’s very easy. The bore in the comply tips is apparently designed to expand (but don’t force it too hard or it can tear I assume). 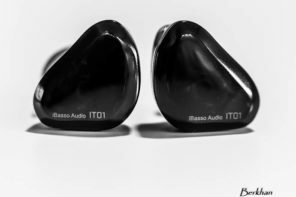 But after some testing, I go mainly with the wide bore comply T-500 tips as my go to tips, which provide more enough isolation. The P series only provide a tiny bit more isolation. 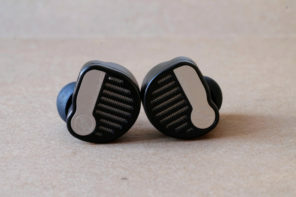 The main advantage of the P series tips is that they move the headphone further away from your ear, creating interesting spatials that you can’t get with the headphone pushed all the way in. 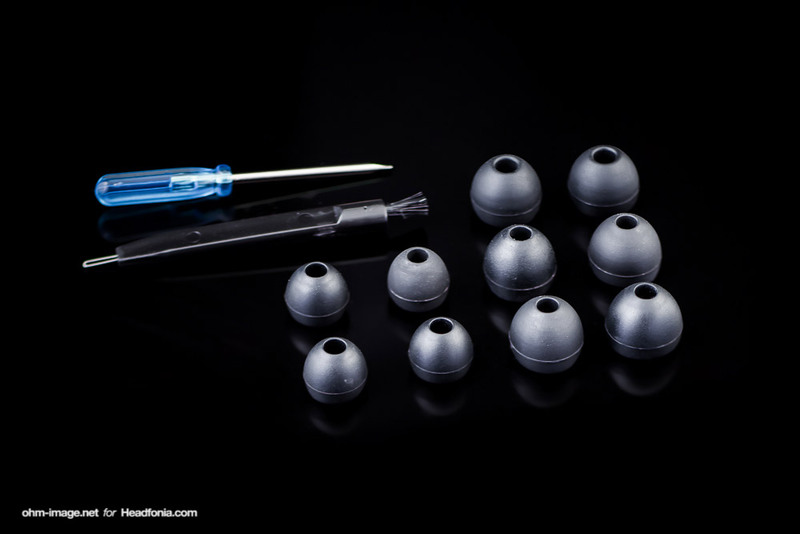 You can significantly change the sound of the Roxannes by trying various tips, short T-500 comply, long P series comply, Westone star, Westone star with foam in the back . . . I’m actually looking for other tips to try as well. Sure. P.S. The P Series also create a major bass boost, due to the fact that the sound has to travel a slightly longer distance, and the fact that bass moves through space better than treble (which you can confirm by pulling up next to a car and hearing only bass when inside the car he’s hearing bass and treble). 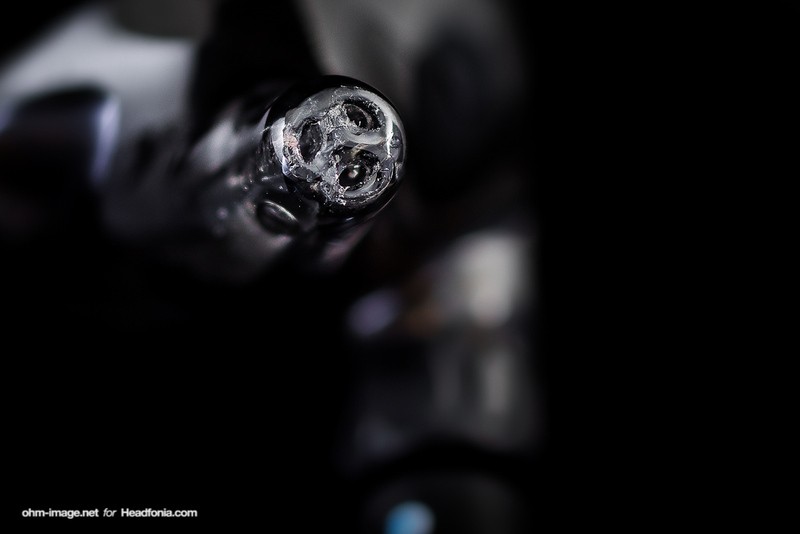 With IEMs, increasing the distance by just 5mm can noticeably impact the sound. P series tips + bass all the way up is beyond beats level head crushing bass. I’m quite sure there are a number of folks who would love to be crushed. I find the bass levels attained stock sufficient, but again, I’m not part of the Beats generation. Yeah I generally keep the bass dial at about 25%. P.S. Now I like wearing the comply tips again lol. That extra 5 mm or so of distance removes some of the harshness of the headphones (not that they’re harsh, but this way they’re less so) and gives it that nice bass slam. But I turn the bass to zero with this method. Now I’m using comply slim P series tips, cut to shorten them (I cut about 4 mm off the top) and inserted deep into my ear (possible with the slim, not with the big). This is the best sound I’ve heard yet. Amazingly tight, controlled yet powerful bass. The bass with this setup is like my TOTL flagship headphones. Good treble too. Outstanding sound stage. I think this is the setup I’m sticking with. What’s amazing is how different the P series slim sound this way vs. if you don’t cut their tops off. Really it’s amazing how different each tip setup sounds. Props on the Battlestar Galactica reference. Mate, you better believe it. Hi, Nathan. I’m late to the show here, but I’m a big fan of your reviews. 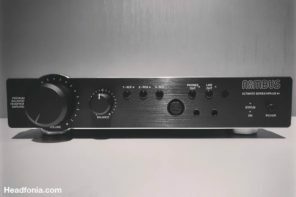 I’m struggling with finding the match-made-in-heaven DAP/Universal IEM union. I have the HM901s and AK240. I currently use the se846 for hard rock and metal, which I love. But I’m trapped in the eternal quest to KNOW without doubt on the day I die (hopefully not for another 40 years or so) I exhausted every effort soak my soul in the greatest sound quality in the universe. Learning more about sound signatures and subtleties that affect what pumps from the IEM’s to my brain, I’m interested in broadening my horizons. How does the Roxanne compare to the se846 in terms of SQ for Genres like rock and metal, where bass and intensity are important, but not absolutely bass dependent like hip hop? Forgive the rambling preamble. Daniel: I’m late. I’m always late. I need a proper inbox. Sincere apologies. Both earphones were on loan, so I can’t whip them out now and tell you which I actually prefer and why. I can say this: the Roxanne is all about the expansive mids. I didn’t find pairing it with fast genres that good, but it sure sounded good with slower, vocal and small ensemble stuff. Otherwise, the SE846 really is a great option for the genres you mention. That said, the SE846 has the problem of hissing like crazy and being super duper sensitive. The Roxanne isn’t as much. But the Roxanne barely fits in a bear’s ears. Thank you for your thoughtful response!!! Just curious, I value your opinion highly. What is your person favorite IEM and full size pair of cans? Daniel: I’ll try not to be so late. I’ll fail. I’m not sure what you’ll think of my favourites. The two are very different, but I like each immensely. The IQ has a few missteps, but is my constant companion when I head into the city. The GR10 pushes all the right buttons for me re: sound. Fit is good, but isolation is just so-so. The same love. I know the DT880 is bettered by a number of headphones. It’s been a favourite of mine since 2005 or so. I can’t bring myself to supplant it despite actually preferring the T1 by a small margin. I also love the HD600 for its dry, thick but speedy sound. Like a DT880 with no faults. The PM-2 is so comfy and smooth and beautifully engineered. There are headphones out there that sound better I know, but none of them are as comfy, light, well-designed, and good sounding. This one pushes all my buttons in all the right ways. 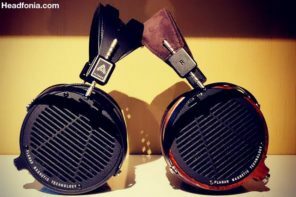 So: I’m not a hi-end lover unless you consider earphones like the GR10 to perform against the hi-end. Cheap as they are (by way of comparison), I do. Again, thank you so much for your thoughtful response!! I consider you THE authority on all things audio, and so value your opinion very much. Thank you for sharing!! I’m still exploring new sounds and gear, and appreciate you taking the time to respond to me VERY much!! I’m just an amateur with a love for what objectiveness I understand. That, and trance. If you really want to know authority, I suggest Tyll Hertsens. If you want clear language and great presentation, Lachlan. If you want meticulous comparison, Jokerl. There are loads of great reviewers out there. But I will do what I can and at a pace I am capable. If you have questions or comments, by all means, shoot away. But take no one’s words as absolute truth and always trust your own preferences. Well, you haven’t steered my wrong yet! I always read your reviews before I make a purchase. Thank you for the other recommendations! Btw, I just ordered the Gr10’s. Always in the market for a new “flavor.” Thanks again! Hissing? OK, I only use them with a Macbook Pro, iPhone and iPad, but nary a hiss have I ever detected. Great review and superb pics! Any chance of reviewing the Layla and Angie anytime soon? I’m afraid they’re not on the list. maybe on Nathan’s. Any olans to do a Ether, Roxanne, K10, 335 review/shootout? I can’t imagine sourcing all of that will be easy. I really appreciate your reviews. 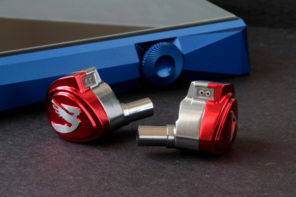 I’m seriously considering the custom fit Layla IEM’s. 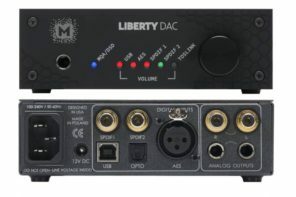 What would you suggest for a portable DAC and amplifier? I would appreciate any help you can give. I am sorry to be so late: Hands-down I recommend Vorzüge PURE II. Is Roxxane still a good buys in 2017? Or Noble Katana? Thanks.